Liposuction is a very popular plastic surgery procedure with a very specific aim: to remove unwanted, excess fat in order to sculpt the body. This helps create a much more aesthetically pleasing contour, while eradicating fatty tissue that is otherwise resistant to diet and exercise. If you’ve had trouble with “the last 10 pounds” or of your body accumulates fat in specific areas, call us for a free consultation (281) 980-8111. 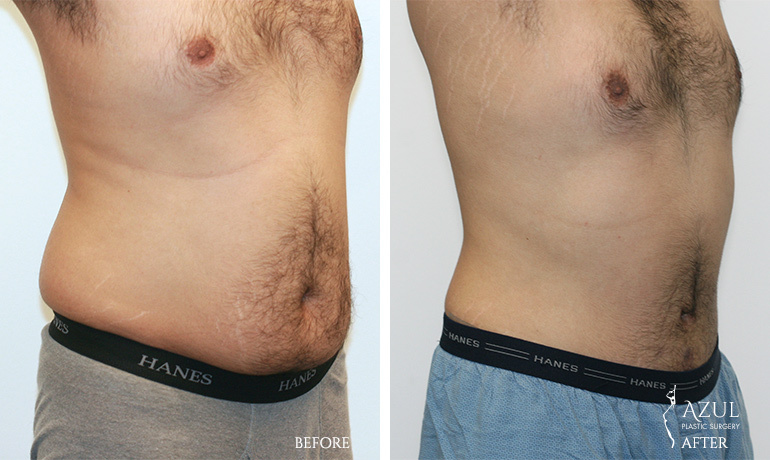 Houston plastic surgeon, Azul Jaffer, MD, has helped men and women achieve amazing and natural-looking results through lipoplasty for over a decade. With his creative and artistic background, Dr. Jaffer understands the body’s anatomy and the aesthetic qualities that individuals seek. 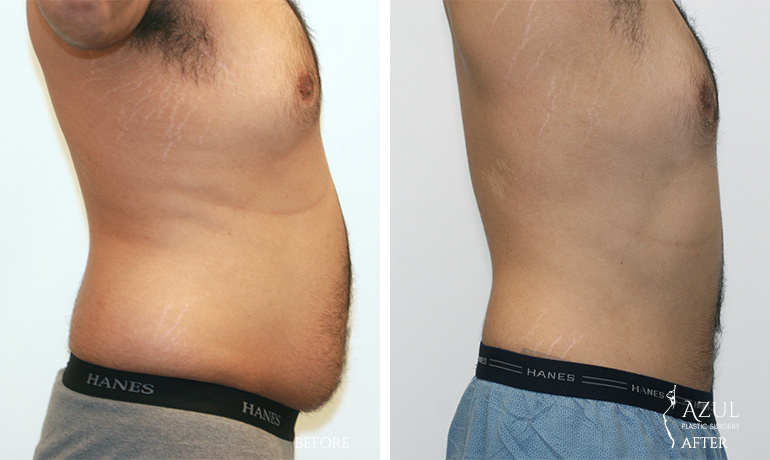 That makes him the perfect partner for body sculpting procedures like liposuction. Individuals who have struggled to change their body through lifestyle and habit changes often have a genetic tendency to collect fat in certain “trouble” spots. They may see the effects of their effort elsewhere on the body, but not in those hereditary areas. 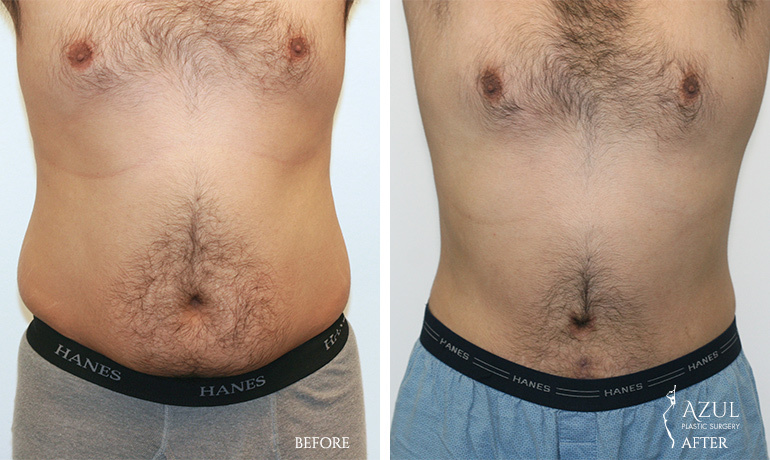 Liposuction is a procedure that can remove these unwanted fat pockets, and Dr. Jaffer is dedicated to using his artistic skill and surgical ability to perform liposuction in a way that emphasizes results and safety. Not sure what to expect from your procedure? Dr. Jaffer will discuss the various options for helping you achieve the results you’re after. Dr. Jaffer is a double board-certified Houston plastic surgeon, whose practice has grown through the results he’s achieved for his clients. 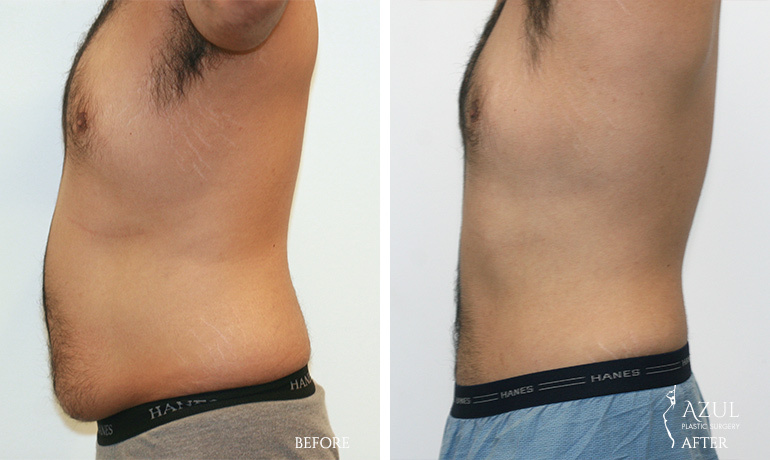 At your consultation, Dr. Jaffer will personally discuss your desired body sculpting outcome, and provide his own professional analysis as a plastic surgeon and artist. He listens carefully to every patient in order to achieve a look that is always natural, beautiful and ideal for each patient. You can also trust that Dr. Jaffer will provide honest, caring advice – your partner in getting the best results from your procedure and for life. 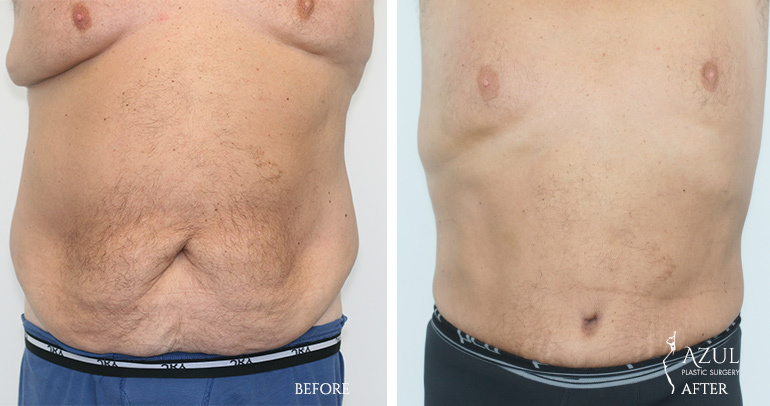 While the information here is provided to help you better understand the liposuction procedure, there is no substitute for a consultation with an experienced board certified plastic surgeon. 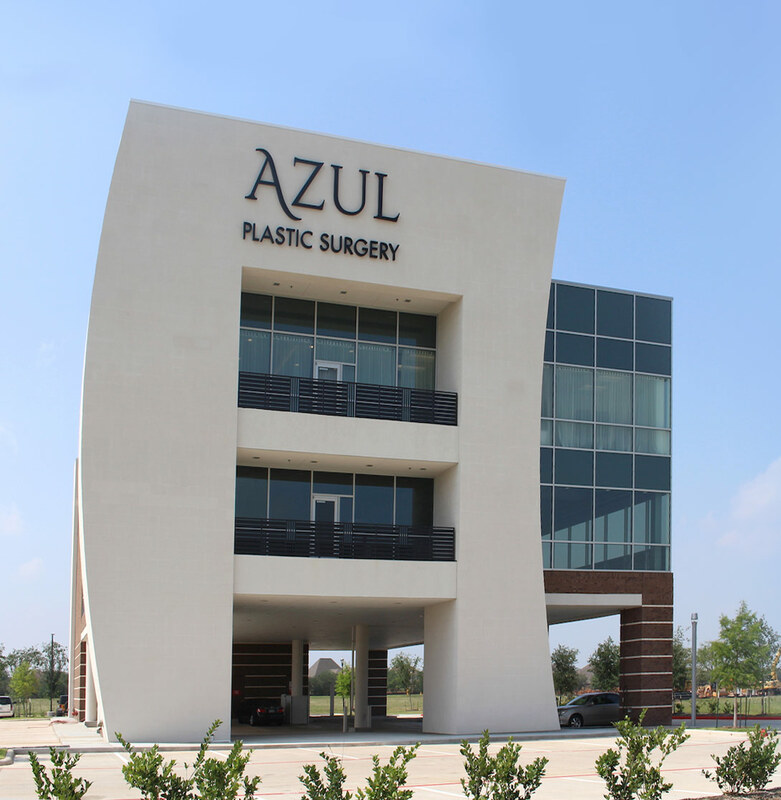 At Azul Plastic Surgery we are committed to helping you achieve the best possible outcome in your liposuction surgery. Located in Sugar Land, we serve clients throughout the greater Houston area, including Fort Bend, The Woodlands, Katy, Pearland and Galveston. Request your personal consultation. 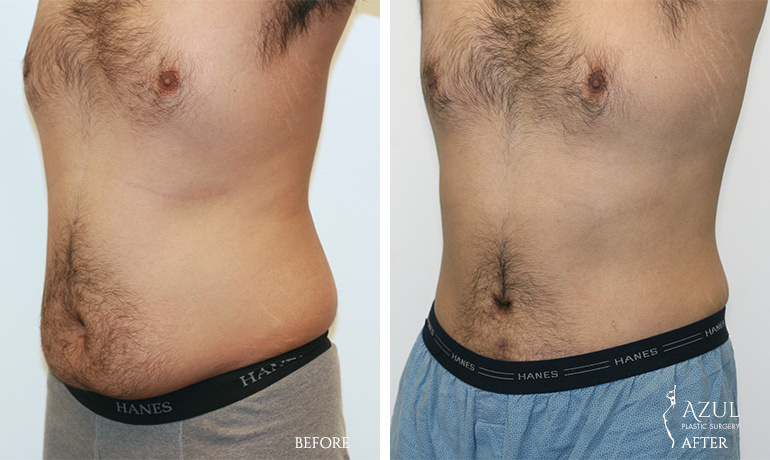 Who is a candidate for a Liposuction procedure? If you have excess subcutaneous fat, which is resistant to diet and exercise. If you wish to change the contours of your body. Commonly involved areas are the anterior of the neck (under the chin), upper arms and armpits, male chest/breasts, trunk, abdomen, waist, hips, thighs, inner knees, calves, and ankles. Most patients are near normal weight and desire permanent contour changes. 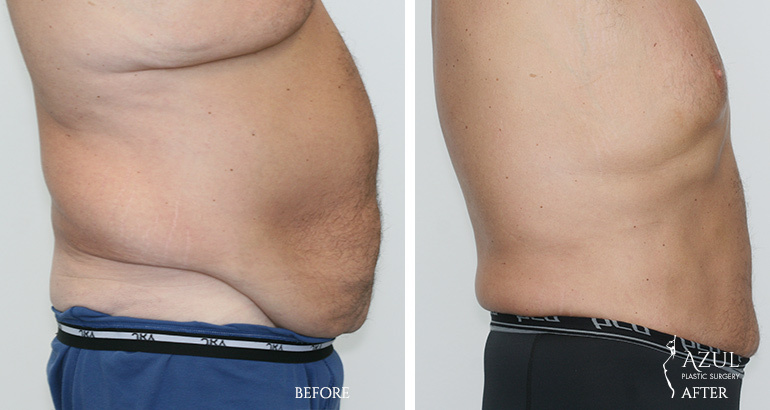 Improved techniques now allow larger amounts of fat removal. Liposculpture can be useful to heavier persons as well. What is Liposuction and recovery like? The procedures are done on an outpatient basis. Monitored Anesthesia Care (MAC) is usually used for safety and comfort. Small suction tubes (cannulas) are inserted through very short incisions placed in inconspicuous locations near the fat deposits, and excess fat is removed. The patient goes home with a compression garment (or tape) covering the treated areas. Compression is advised for about a month as it helps reduce swelling. Once pain and soreness decrease, it is frequently more comfortable to wear lycra or spandex exercise pants. Initial discomfort is easily controlled with oral medication. Bruising and swelling usually subside in 2-4 weeks. The final result takes shape over 2-3 months. Additional procedures that may enhance the result are Tummy Tuck (Abdominoplasty), Breast Reduction, Thigh Lift, or Buttock Lift. Because every patient’s concerns and desires are unique, we recommend that you schedule a complimentary consultation with Dr. Jaffer. At the time of your consultation, a treatment plan will be proposed. With those variables identified, it will then be possible to estimate a firm idea of costs associated with your liposuction/body sculpting procedure.